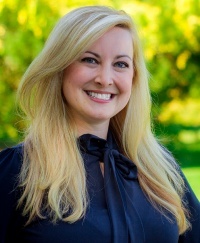 Berkshire Hathaway HomeServices Verani Realty’s agent Kristyn Nelson has been elected to join Berkshire Hathaway HomeServices’ national re_think council, a premier, member-driven think tank in the real estate industry that is focused on sustainable success for current and future real estate agents. Re_think council members are nominated by their brokers and are recognized leaders within the Berkshire Hathaway HomeServices network. In order to serve, re_think members must have achieved the Leading Edge Society award, which recognizes top performance in sales, or higher within the past year. Members serve for two-year terms supporting the council’s efforts to create resources for the Berkshire Hathaway HomeServices Network, including an annual white paper advocating best practices, and to recruit and retain millennials to the network. Only 15 members are selected. Nelson grew up in the real estate industry and is the third generation of her family to be involved in investing, renting, building, real estate, contracting and brokering. Known for her passion and energy, she is a member of the Greater Manchester/Nashua Board of REALTORS® and focuses on Bedford and the cities and towns surrounding Manchester. Her specialties include first time homebuyers, repeat homebuyers, fine/luxury properties, and staging and decorating properties to their full potential. She is also highly involved in Verani’s social development division, VeraniCARES, both by serving as a VeraniCARES Ambassador and by donating $10 from each of her closings, which Verani matches and allocates to community and shelter-related charities.